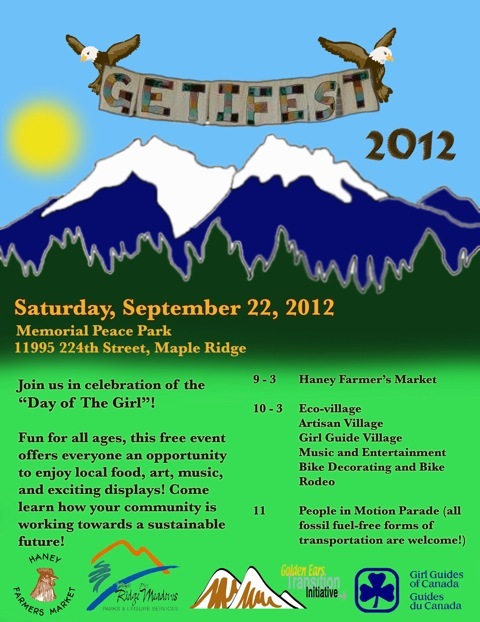 We hope you'll join us for the 2nd annual GETI Fest, in Memorial Peace Park, on Sat. 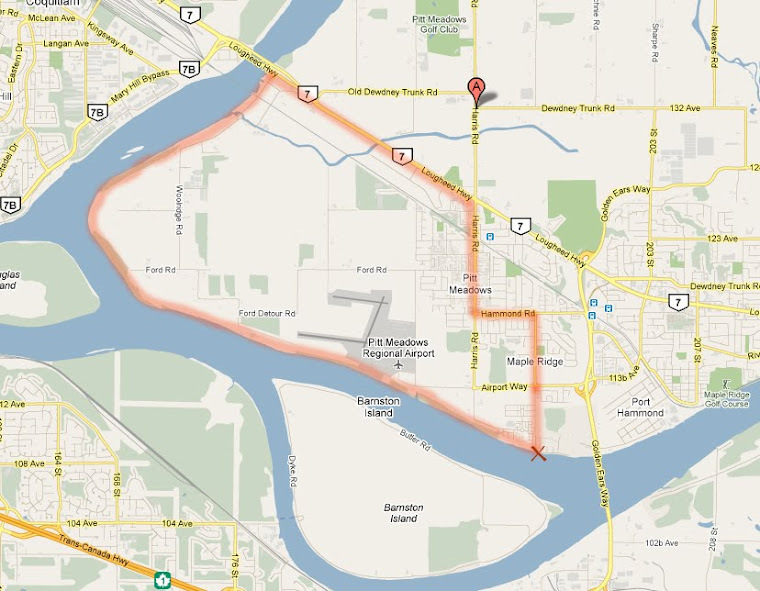 Sept. 22 (10 a.m. – 3 p.m.). For those of you who don't know about GETI, it's an organization through which all individuals and groups in the Maple Ridge/Pitt Meadows (Golden Ears) area can work together in a co-ordinated fashion to create a resilient, vibrant, supportive and caring community. This is achieved through local Action Groups that help us meet our needs for food, energy, shelter, sustainable livelihoods and much more, while reducing our carbon footprint and our dependence on fossil fuels. Our local HUB Chapter is one of the many Action Groups of GETI. Apart from the celebration at GETI Fest of GETI's achievements so far, our HUB Committee is especially excited this year to join the Lougheed Area Girl Guides in celebrating the Day of the Girl at GETI Fest. In order to overcome the many challenges that our world faces today, it’s important to recognize the important role girls and women can play in changing our world for the better. Presently, only about 25% of cyclists in North America are female. The "cycling infrastructure" that has been built here since mid last century or so has consisted of at the most some white lines and bike symbols on our roads, and it obviously hasn't appealed very much to most women, who generally are not looking for the adrenaline rush that you feel when competing with cars for space on the road. Most women prefer a more peaceful experience, away from car traffic. In countries where cycling is perceived to be safer, such as in the Netherlands, the number of women who bike is much higher. In the Netherlands about 55% of cyclists are women. Many of them own a car, but choose to use their bikes, because it's an enjoyable, convenient, fun and healthy way to get around. More separated and safer infrastructure in our neck of the woods will give today's Girl Guides and women of all ages the ability to make that choice as well. Events like GETI Fest can only happen with the help of many volunteers. If you would like to help out, please send me an e-mail (jchow23708@yahoo.ca). Looking forward to seeing you at GETI Fest!